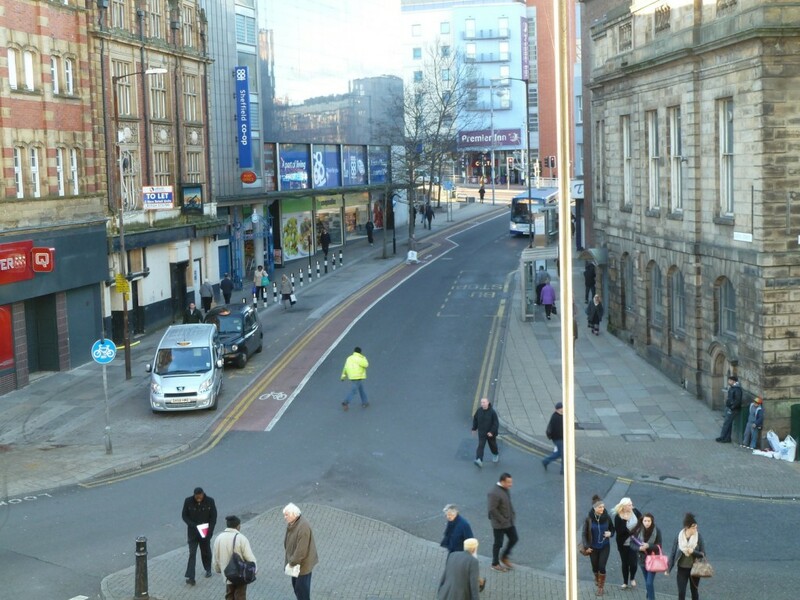 There is a cycle lane in Sheffield on Castle Street that provides access to the city centre for cyclists who wish to avoid the arterial routes that still dominate the area. 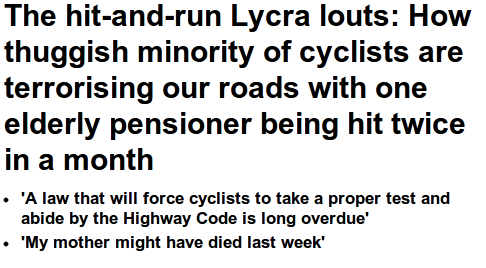 This cycle lane is a contraflow lane, it is clearly marked and has a solid white line to separate it from the oncoming carriageway. 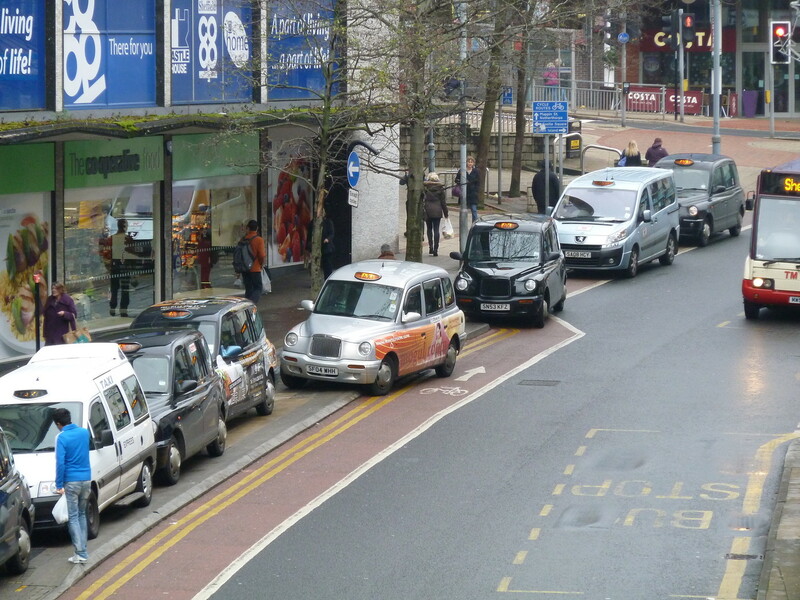 There is a nearby taxi rank and for many years taxis have been using the cycle lane as an extension to the taxi rank forcing cyclists using it into the oncoming carriageway. 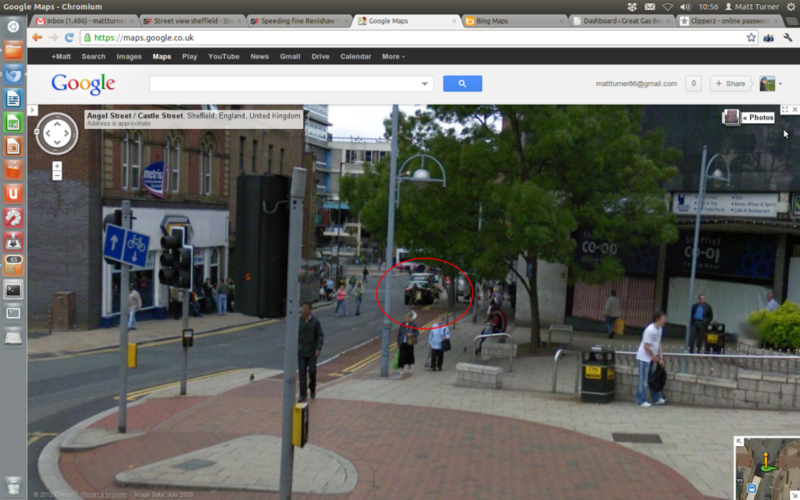 Any cyclist who asks them to move, or takes photo’s as evidence, is met with angry taxi drivers. 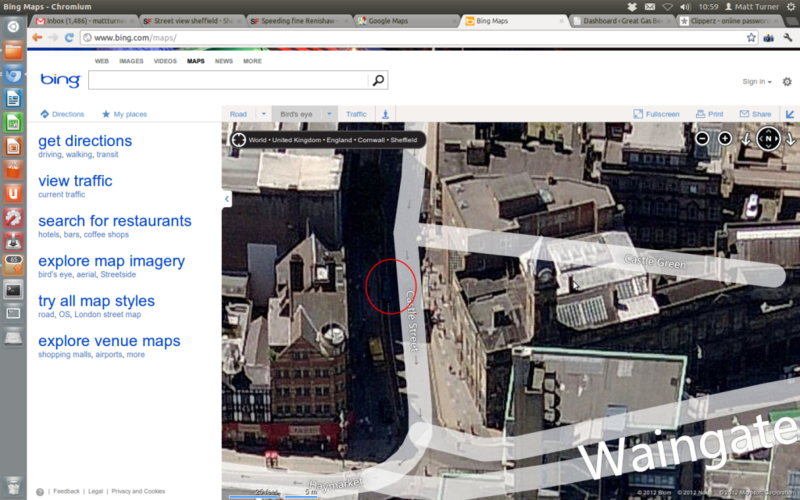 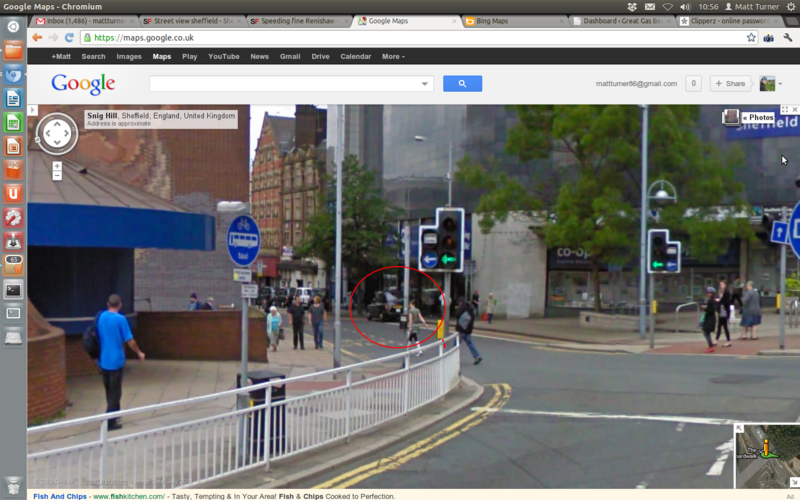 Google and Bing have been recording this junction for some time, lets have a look at what they’ve seen. 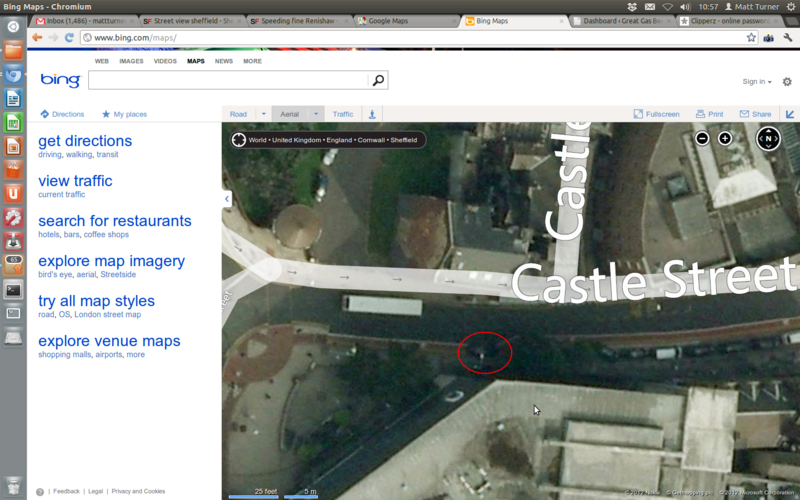 This entry was posted in Castle Street, cycling on October 14, 2012 by Matt.